May 8, 2017 May 7, 2017 by Beau H.
OK, guys — remain calm. If Mother’s Day crept up on you this year — or you just didn’t know what to buy for the occasion, The Style Guide is here to help today. And luckily for all of you shoppers out there, we’ve got not only a little bit of time before Mother’s Day (it’s this weekend! ), but also plenty of options in this year’s Mother’s Day gift guide. Read this post, and I guarantee you your gift-giving conundrum will be solved. Just as with buying a Christmas or birthday gift, it pays to dig a little deeper, past the ordinary — simple and beautifully made gifts with character are the way to go, no matter the mom you’re buying for. And we’re making it even easier this year, with categories ranging from fashion to jewelry. So with all of that being said, I won’t waste another minute of your time. Unless, that is, you feel like shopping for yourself and perhaps crossing an item off your spring style wish list … in that case, procrastinate away! In the meantime, good luck finding that perfect Mother’s Day gift — tell me how it goes over on Twitter or via The Style Guide Facebook page. A simply stylish, understated addition to Mom’s jewelry collection. 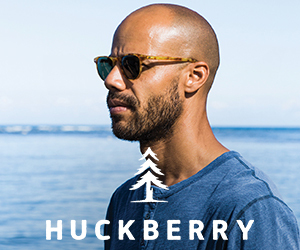 You know what’s the great thing about shopping frequently via Huckberry? You get well-acquainted with the fact that they’ve got a neat, unique and well-curated selection of women’s gifts — including the Julia Szendrei Horizon Diamond Slice Necklace. It provides just the right amount of visual interest, and certainly looks more unique than other necklaces Mom might have in her jewelry rotation. Simple, understated and classic. Made with hand-painted coconut wood and bright metal beads, these would be a unique, thoughtful gift. The unbeatable combo of a great book and a nice candle. What better way to welcome spring and summer than with an intriguing beach read? If you’ve got a book lover on your list, they very well might appreciate “Days Without End,” a richly crafted, fascinating tale of immigration, the old American West and in short, a momentous time in American history. It’s got a lot of buzz behind it, and it’s certainly among the best books for Mother’s Day (I think). It should be a gripping read — and that’s where the relaxing Lavender Aromatherapy Candle comes into play. See, two great gifts and an easy one-two punch. 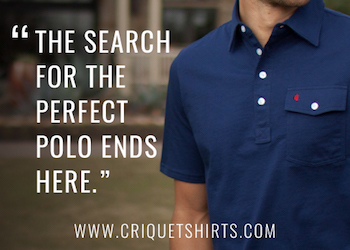 A simple, well-made buttondown — match with your gift receipient if you wish! Lest you thought Taylor Stitch only made your favorite clothing, think again. They make a nice selection of finely textured, well-made and understated pieces for the woman who values effortless style. Whoever that might be on your list, a premium shirt like the Taylor Stitch Catherine Buttondown could be a nice complement to something like a day of pampering or her favorite flowers — see, it’s the little things that count. And seeing as Taylor Stitch has thought of all the details possible with its Catherine Shirt, that’s great news as you shop for Mother’s Day. A clean, well-made slip-on perfect for the mom who loves — I mean, LOVES — shoes. Just as with Taylor Stitch, Nisolo does far more than make stylish gear for guys (like the Emilio Chukka Boot). Indeed, the Sofia Slip-on is yet another unique, refined and understated pair of footwear to consider buying for the mom who considers herself a fashionista. And regardless of her footwear tastes, a chic pair of leather slip-ons should work reliably well through the warmer months — so while you buy the Nisolo Leon Weekender for yourself, buy the Sofia Slip-on for her, will ya? For the mom who appreciates refined, essential accessories — here’s the gift to give. Who doesn’t appreciate a great addition to their everyday carry — right? While Mom’s daily carry might look a bit different than yours — I’d wager she doesn’t carry around a small pocket knife, for example — there are still additions to be made. And one of those additions should likely be the Bellroy Carry Out Clutch, a subtly stylish clutch that should be easy to slip into a tote bag or carry on its own. Hey, maybe check out some other Bellroy leather goods for yourself? You know, as a reward for your shopping prowess. And with that … we’ve reached the end of this year’s Mother’s Day gift guide. Was it helpful? Useful? Or was it a complete waste of time and you’re still scrambling to find a gift? In that case … I do apologize. But if you found a simple, timeless and classic gift to give — like the Bellroy Carry Out Clutch or the Sofia Slip-on — that’s what we’re going for! Indeed, it all comes down to playing toward Mom’s tastes and interests; in that case, something more unexpected, yet well-made — like the Taylor Stitch Catherine Buttondown — could be a prime gift to give. Don’t forget small touches, like an engaging book or a nice candle. So, what do you say? Let me know what you’re buying for Mother’s Day this year in the comments below. Good luck, stay stylish and thank you for reading — as always!